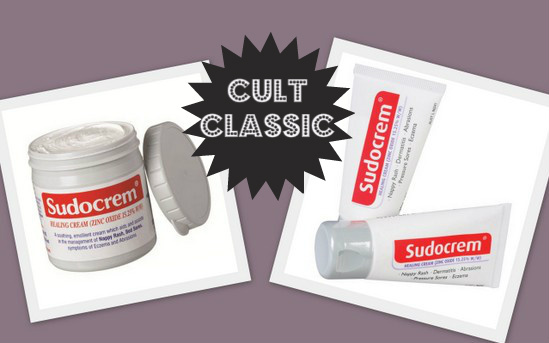 Made in Ireland: Sudocrem set to conquer the world! This post series, Made in Ireland, is dedicated to some of the best Irish beauty and skincare brands around. Check out the previous posts in the series here, and here. Today’s featured product is much beloved here in Ireland and is slowly but surely building up a cult following abroad. Sudocrem Antiseptic Healing Cream has been around for almost 80 years and, while originally developed to treat the sore skin caused by nappy rash, it’s probably best known on these shores as a teenage spot cream! The thick, white cream can also be used for a myriad of ailments including cuts and grazes, sunburn, minor burns and eczema, as well as the now infamous Sudomasque. It’s available in the traditional grey tub (€2.23 for 60g) or in a new, fancypants tube, which is €2.15 for 30g. And if this Daily Mail article is to be believed, it’s flying off the shelves: they report a massive 150 per cent rise in the sale of the cream, since February last year! Will you be snapping up some Sudocrem? love your review! thanks for sharing! I used to used this as a child and a teenager and I'm now going to buy my first pot as an adult ! I did not know sudocrem was Irish. it is my favourite thing - and I go nowhere without my fancypants tube! it fixes everything. and smells like my childhood. happy days. A college friend of mine used to always put it on her spots before going to bed, she always swore by it! I havn't used it in years must get some again! It's one of those products which has always been in our bathroom cabinet since I was little! Great multi tasker! I'd love to have that cream! I can't believe how Sudocrem is becoming so "in" all of a sudden, it's so funny what a bit of press can do! It's one thing we always had a tub of in the house growing up, being the eldest, my mam was always buying it for my younger siblings nappy rashes. Then I discovered it is literally amazing to put on burns, seriously if you ever burn yourself put sudocrem on it and it wont sting! I also put it on spots overnight. It's such a great product! My friend from the US recently came for a visit and I gave her some to put on a cut and she loved it so much she stocked up before leaving. YAY Sudocrem! PS. The tube is so handy isn't it? I religiously applied it to spots throughout my teenage years and rediscovered it recently, the smell of it really brings me back! Interesting product! I'm curious about the active ingredients? I am always interested in those products that combat dryness and help manage irritating skin conditions. Thanks for sharing! I love that you're covering Irish products! I want to visit and buy all of these, many which I haven't heard of before. Zinc oxide: a dermatological agent with astringent, soothing and protective properties. Benzyl alcohol: a local anaesthetic with disinfectant properties. Benzyl benzoate: an acaricide and has been used as a pediculicide, insect repellent and pharmaceutical solubilising agent. It is a constituent of many natural balsams and is one of the principal esters of Peru Balsam. Benzyl cinnamate: this is the other principal ester of Peru Balsal BPC 1973. It is synthetised from benzyl alcohol and cinnamic acid which has antibacterial and antifungal properties. Peru Balsam is categorised as having a mild antiseptic action because of cinnamic acid and its derivatives present. Lanolin: resembles the sebaceous secretions of human skin. The grade (hypo allergenic) used is manufactured so as to exclude many sensitising substances present in the lanolin. Really like this series, didn't know sudocrem was Irish! I'll need to put this on my wish list if I ever make it to Ireland/UK! I was really sceptical about using it on my spots as I have quite dry skin and lots of spot treatments leave my skin a lot dryer. But this stuff is amazing, it really does clear up spots much faster and doesn't dry your skin out. Sure you'll look like a bit of a weirdo going to bed with it smeared all over your face but if it works on my spots I don't care!